The US Army recently announced that they are accepting contract bids for the production of microdrones to be carried along by deployed soldiers in their kits. Needless to say, the idea was painted as undeniably good: to help protect “our troops”. Characterized in such a way, the idea could not possibly be met with resistance by any legislator. Companies will be contracted, and funds lavished upon the developers and builders of the new microdrones, having been made to seem as essential to a brave soldier as a Kevlar vest or an armored Humvee—and a bargain to boot! The fact that microdrones will be just as good—if not better—for asymmetrical, factional fighters is best left unsaid, at least from the perspective of all of the many parties likely to profit from the initiative, including the experts who assess the costs and benefits of the plan. Microdrones, which weigh only 150 grams or so, are already being produced, and DARPA solicited bids earlier for its Fast Lightweight Autonomy (FLA) program. The idea pitched at that time was to produce a drone which could enter buildings—such as homes—and snoop around to see what’s going on. On a not unrelated note, a recently released report revealed that “a handful of” US military drones have spent some time hovering in homeland skies, “in support of civilian authorities”. The military drones operating above US soil have been used for surveillance purposes only—so far. Connecting a few dots, and extrapolating from the slippery slope which the US government continues to slide down, I predict that in the not-too-distant future, microdrones will be used in the homeland to snoop on US citizen suspects, after which larger drones will be used to kill them. Does that sound too far-fetched? Who would have guessed, ten years ago, that the US government would dispatch citizens without indictment, much less trial? Yet in the fall of 2011, they did just that, hunting down and killing Anwar al-Awlaki in Yemen. Who would have guessed, one year ago, that the British government would do the same? Yet in August 2015, they did just that, hunting down and killing two British nationals, despite the fact that capital punishment is prohibited by both the EU Charter and British Law. 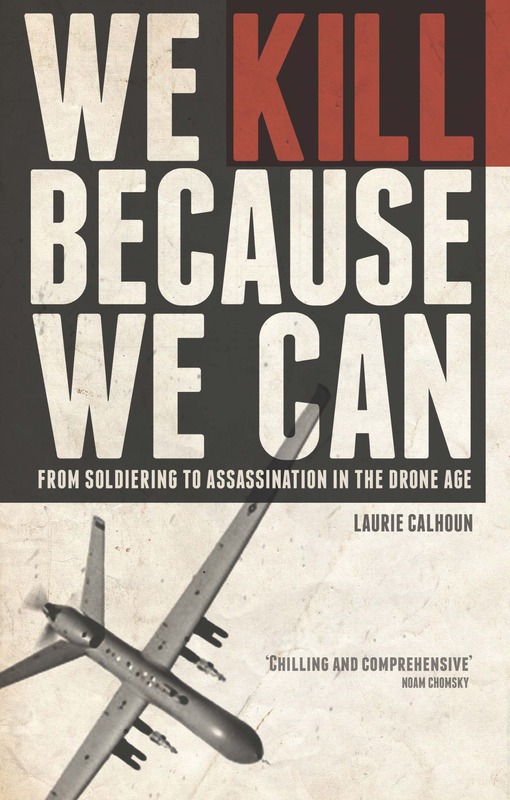 The Drone Age has been underway for fifteen years, and still there has been no strategic analysis of the efficacy of the targeted killing program abroad. Thousands of suspects have been eliminated using Hellfire missiles fired from Predator drones, yet the quagmire in the Middle East has only grown worse. Unfortunately, the very analysts who might be enlisted to assess the US drone program, employees of the Central Intelligence Agency (CIA), are too busy finding people to hunt down and kill, and locating “appropriately vetted moderate rebels” to arm. No one seems to want to bother with figuring out whether all of this state-inflicted homicide is making Westerners less, rather than more, secure. Given the ever-augmenting chaos and carnage throughout the Middle East, we have sound grounds for concluding that, in fact, the US government’s many lethal efforts are self-sabotaging, undermining US security by sowing anti-American sentiment, which is likely to manifest itself in further blowback terrorist attacks, just as occurred in Paris and San Bernardino in 2015. Remarkably, US administrators continue to parrot vague pronouncements to the effect that the drone program has saved lives. No substantiation of such claims is ever provided. Instead, we must content ourselves with the praise by “experts” with both psychological and financial reasons (often board members of the many companies which profit from targeted killing) of the drone warriors. For “reasons of national security”, the details are always withheld, and we are expected to trust the people who assure us that all is well. The same “experts” brush aside (or ignore) all of the annoying questions raised by critics, the ranks of which are now on the rise—and not without good reason. Unfortunately, federal tax-paying Americans are not primarily renowned for their critical thinking skills. The dead terrorist [suspect] tallies reported in newspaper headlines each week continue to be regarded by much of the populace and political elites as evidence that Westerners are being kept safe by all of the counterterrorism initiatives. When massacres such as those in San Bernardino or Paris are carried out by angry extremists, this is taken by nearly everyone as evidence that the drone warriors need to do even more. By all means, find more suspects to hunt down and kill! A more circumspect consideration of the reigning insecurity all across the Middle East, by persons not primarily concerned with retaining their current position in the government, would lead one to the opposite conclusion: that the firing-squad approach to quelling radical Islamist groups such as ISIS has failed. But rather than face up to their mistakes, the self-styled “smart warriors” continue on unimpeded. Why? Because they can. There you have it, the reason why I have arrived at my depressing prognostication. The myopia of the persons penning US policy all but ensures that, with the inexorable expansion of executive power, nihilistic lethal centrism will prevail, leading eventually to the same treatment of suspects at home as abroad. Can anyone reasonably deny that Anwar Al-Awlaki would have been more dangerous to the people of the United States in Manhattan than he was in Yemen? Or that Reyaad Khan and Ruhul Amin would have been more dangerous to the people of Britain in London than they were in Syria? You’ve got to think with the alarming growth of the defense? Industry that the drone program will continue to grow-where will it stop? Who would dare stop such a profitable venture? its practically illegal to stop money being made on any scheme regardless of how sick the product may be. Definitely a case of coming to a town near you..soon.